Even in the heart of the women’s liberation movement, the governing body of amateur sport, the Amateur Athletic Union (AAU), did not sanction the participation of women in distance running. The longest race for female runners at the Olympics was 800 meters – or less than half a mile. The universal thinking among sports’ male powerbrokers was that women were not physically equipped to endure the rigors of the marathon distance of 26.2 miles. They claimed that the strain would cause women’s uteri to fall out or that they would become musclebound and grow hair on their chests. In the wake of Betty Friedan’s The Feminine Mystique, a small band of women runners began to chip away at these absurd notions. In December of 1963, Merry Lepper and Lyn Carman hid in the bushes near the starting line of the Western Hemisphere Marathon, in Culver City, Calif., before jumping into the field. Carman dropped out midway through, but Lepper managed to complete the race in the unofficial time of 3:37:07. In 1966, Bobbi Gibb employed the same strategy at the Boston Marathon and unofficially finished in 3:21:40. Kathrine Switzer, a field hockey player at Lynchburg College in Virginia, noticed Gibb’s historic endeavor. Later that year, after Switzer had transferred to Syracuse University, she started working out with the men’s cross-country team. Arnie Briggs, a mailman at the school and a running devotee, took her under his wing, and soon Switzer was running upwards of 10 miles per training session, albeit at a slow pace. Switzer’s boyfriend at the time was Tom Miller, a husky hammer thrower who was training for the 1968 Mexico City Olympics. When he heard that Switzer was planning to run Boston, he decided to enter too. Another runner from Syracuse, John Leonard, also signed up. Snow, sleet, and bitter temperatures greeted Switzer and the 740 other entrants who lined up at Hopkinton, Mass. on April 19, 1967. (Compare that to the 2014 total of 35,755 participants.) One runner who did not have a bib number was Bobbi Gibb, who again decided to run unofficially at Boston. Switzer had trained during the winter in upstate New York, so she was unfazed by the cold. Her concession to the weather was not to wear shorts and “a really cute top,” as she was prepared to do. She stayed bundled up in grey sweats and pinned her bib – number 261 — on her sweatshirt. She was most concerned about being discovered at the start, when longtime Boston Marathon race directors Will Cloney and Jock Semple ushered the runners into the starting area and checked off their bib numbers. But she was fortunate: perhaps because of the frigid conditions or perhaps because she was dressed in oversized sweat clothes, she passed undetected. Now she was part of the field. The plan was that the Syracuse foursome would run together. They started slowly at the gun, well back of the leaders. Switzer said that what happened next was her nightmare. The bus halted, and out charged Cloney and Semple to defend the sanctity of their race. First Cloney, outfitted in a fedora and overcoat, physically tried to stop Switzer, but she avoided his clutches. His “other” job was caretaker of the Boston Marathon. Semple had a long love affair with the race: as a competitor, he had recorded numerous top-10 finishes in Boston; by the 1940s, he was the Boston Athletic Association’s point person for the marathon (and the coach of the BAA’s running club); beginning in 1963, he served as co-director of the race. 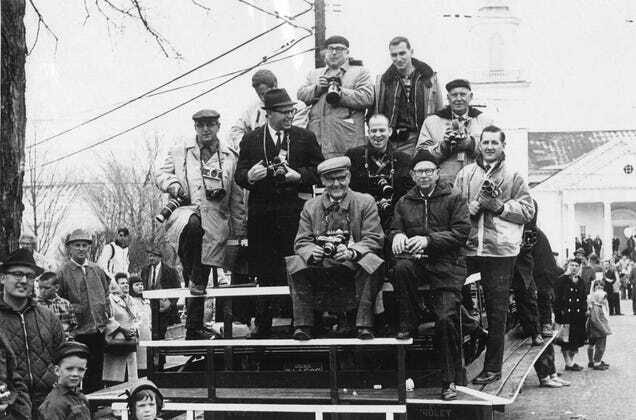 As reporters scribbled on their notepads, the photographers perched on the accompanying photo truck also captured the contretemps (including Sports Illustrated’s legendary lens-man Walter Iooss Jr.). But only one photojournalist jumped off the truck to get a better angle. Harry Trask had graduated from high school at 16 and, with his family needing him to earn money, took a job in the mailroom at the Boston Traveler newspaper. He was a self-taught photographer who worked himself up to a staff position at the paper by the early 1950s. He won the Pulitzer Prize in 1957 for his images of the Andrea Doria ocean liner sinking after it collided with another ship off the coast of Massachusetts. Trask got the pictures by getting into an airplane and directing the pilot to fly over the water at a height of 75 feet, capturing the sequence only nine minutes before the ship sank. Trask was upset on the morning of the marathon. He was resigned to sitting in the open photo truck for over two hours in the bitter cold, which he later described as “not a great assignment.” And, when he went to pick up his equipment in the pressroom that morning, the state-of-the-art gear – the cameras equipped with motor drives — was taken by other staffers shooting the Red Sox at Fenway Park. (The game was canceled due to the weather.) Trask was stuck with a 35-millimeter camera that he had to manually wind to advance the film. Trask left the truck and, on foot, snapped pictures of the incident as fast as he could. He abandoned the course, took a taxi to the newspaper offices, and immediately headed to the darkroom. He was excited, but in the days before digital cameras, he didn’t know for sure if he’d gotten the shots on film. “I might have some pretty good pictures. I’ll see when it comes out of the soup,” was his line before his pictures were developed. What emerged from the wetting agent was a three-part drama in black and white. The first image showed Semple angrily pawing at Switzer as Briggs (wearing bib No. 490) tried vainly to intervene, while the second featured the strapping Miller (390) shoving Semple away with a perfectly timed body block. In the finale, Switzer is regaining her balance and striding forward, her bib intact, while Semple stumbles toward oblivion. Despite the cold and the manual camera and the movement of his subjects, Trask had nailed it. The contrast between Semple, wearing a dark suit and a snarling expression, and Switzer, in light-colored sweats and looking completely shocked, couldn’t have been more pronounced. 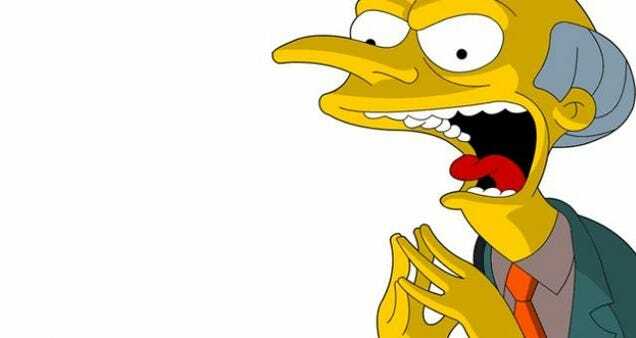 In the aftermath, Semple climbed back onto the press bus, met by absolute silence. Switzer regrouped and carried on, shaken and angered, but unbowed. She also had to deal with an enraged boyfriend. “Tom said, ‘You’re getting me in all kinds of trouble. I’m never going to make the Olympic team,’” she recalled. Miller abandoned his companions, only to be passed by them later. Switzer managed to complete the race in 4:20, with Briggs and Leonard alongside. Footage of the 1967 race. 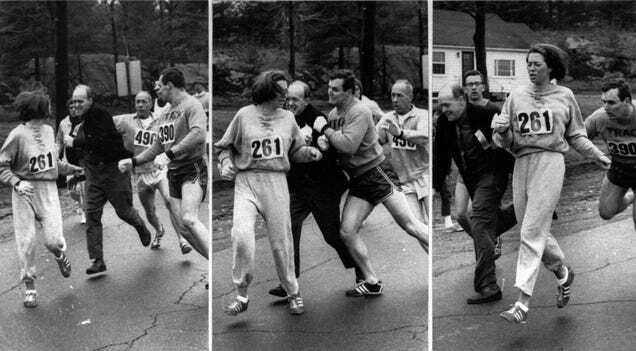 Kathrine Switzer, “a leggy lady,” can be seen at 0:13. The winner of the 1967 Boston Marathon was New Zealander Dave McKenzie, who set a new course record in 2:15:45. Bobbi Gibb, meanwhile, unofficially finished well in front of Switzer in 3:27:17. A chorus of runner-activists actively lobbied for reform with their feet and with their voices. Slowly, they were heard. In 1970, the Road Runners Club of America held the first women’s marathon championship (won by Sara Mae Berman). In 1971, the Western Hemisphere Marathon in California allowed women entrants, with Cheryl Bridges recording the landmark victory. The following year, Jock Semple opened the Boston Marathon to women, with Nina Kuscsik the winner. Switzer finished third. On June 23, 1972, President Richard Nixon signed the Education Amendments of 1972 into law. One provision, Title IX, mandated more equitable treatment for female student-athletes, and women’s distance-running programs gradually became the norm. Finally, in 1984, the women’s marathon was added to the Olympic program. American Joan Benoit triumphed in Los Angeles, in 2:24:52, as she defeated Norway’s top-ranked Grete Waitz. Yet another all-male bastion had collapsed completely. Kathrine Switzer and Tom Miller were married in 1968. Switzer described it as a “very competitive marriage,” and they divorced in 1972. (Miller died of a heart attack in 1992.) Switzer and Jock Semple reconciled and became friends. She helped him promote his book, Just Call Me Jock (1981), and visited him in the hospital just before he passed away in 1988. As she had predicted, what she now calls the “great shoving incident” changed the direction of her life. She pursued competitive distance running for years, winning the New York City Marathon in 1974, and also worked for Avon, helping to organize races and running programs for women. She used her journalism degree from Syracuse to write books on running and exercise and to become a television commentator. Switzer will be broadcasting at the 119 th Boston Marathon on Patriots’ Day this year, as she has for the past 37 years. She has witnessed the rise of the African marathoners, both male and female, not to mention the bombing at the 2013 race. She is training to run it again in 2017, which will mark the 50th anniversary of her breakthrough. She will be 70 then; her ambition is to beat her time from 1967. Thanks to Harry Trask, she is as irrevocably linked to the Boston Marathon as Jock Semple once was. Her bib number is now at the center of a campaign that she has launched to empower women to “find solace, strength and freedom in running or walking.” She recently returned from Spain, where she helped to organize the second annual 261 Women’s Marathon. For Switzer, in 1967, that moment occurred when she, Arnie Briggs, and John Leonard ran down Hereford Street and then rounded the corner onto Boylston. The finish line was in sight. Strides later, hours after she had outrun the grasping arms of retrograde history, her race was complete. David Davis is the author of Waterman: The Life and Times of Duke Kahanamoku, coming this fall from the University of Nebraska Press.